What is a Califont Gas Heater? No matter where you look for a definition of “Califont” the world of online dictionaries defines it as “A gas water heater – NZ”. So, if you happen to be reading this and wondering what on earth we’re referring to when we use the term Califont – It is a tankless on demand gas powered water heater. These water heaters are great in that they provide hot water only as it is needed. As there is no tank, there is no energy lost from having standby hot water waiting to be used. This can save you a fair amount of money each year. A Califont Gas Heater works similarly to other water heaters with one exception – there is no large storage tank. When a hot water tap is turned on, cold water travels through a pipe into the unit. Either a gas burner or an electric element heats the water. As a result, califont water heaters deliver a constant supply of hot water. 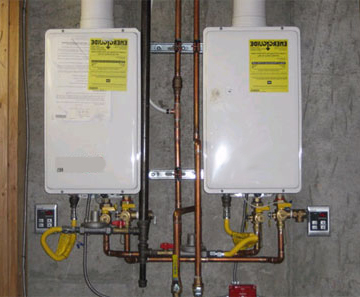 You don’t need to wait for a storage tank to fill up with enough hot water. This sounds great however there is a slight downfall – a califont water heater’s output limits the flow rate. What does this mean? Well, typically, califont water heaters provide hot water at a rate of 7.6–15.2 litres per minute. While this may sound like a lot of water per minute, sometimes, even the largest model won’t be able to supply enough hot water for multiple uses in a large household. Taking a shower and running the dishwasher at the same time can stretch a califont water heater to its absolute limit. There is a way around this issue – you can install two or more califont water hea ters, connected in parallel for simultaneous demands of hot water. Or, another way of solving this problem is by installing separate califont water heaters for certain appliances – such as a clothes washer or dishwater – the ones that use a lot of hot water in your home. For homes that use 155 litres or less of hot water daily, on demand water heaters can be 24%–34% more energy efficient than a conventional hot water tank heater. They can be 8%–14% more energy efficient for homes that use a lot of hot water. You can achieve even greater energy savings of 27%–50% if you install a demand water heater at each hot water outlet. ENERGY STAR® estimates that a typical family can save $100 or more per year with an ENERGY STAR qualified Califont water heater. 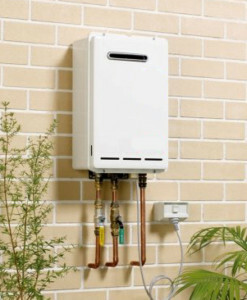 Although not necessarily the cheapest option to consider when looking at installing or replacing your water heater a Califont Gas heater will typically last longer and have lower operating and energy costs than other types. Over time this could offset the higher purchase price. You can expect to get a good 20 years plus use out of your Califont Gas Heater. They also have easily replaceable parts that extend their life by many more years. 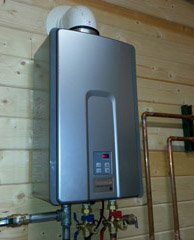 To put this into perspective – your traditional hot water tank heater has a lifespan of around 10-15 years and if anything goes wrong prior to this, they generally need full replacement. These factors will have a bearing on the type of Califont Gas Heater you chose. As water heating brokers we can help you analyse your hot water usage and decide on the best option for your home and family. We can advise the best products and the best way to complete installation. 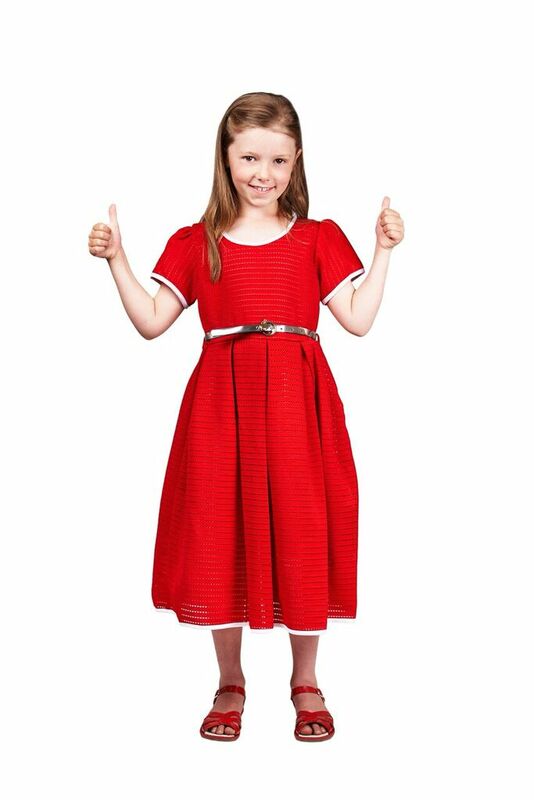 We are known for finding you the best deals from the best brands. We have unbeatable industry pricing and pride ourselves with an unmatched level of service and costumer care. Call us now or drop us an email and we can help you pick your new Califont Gas Heater.